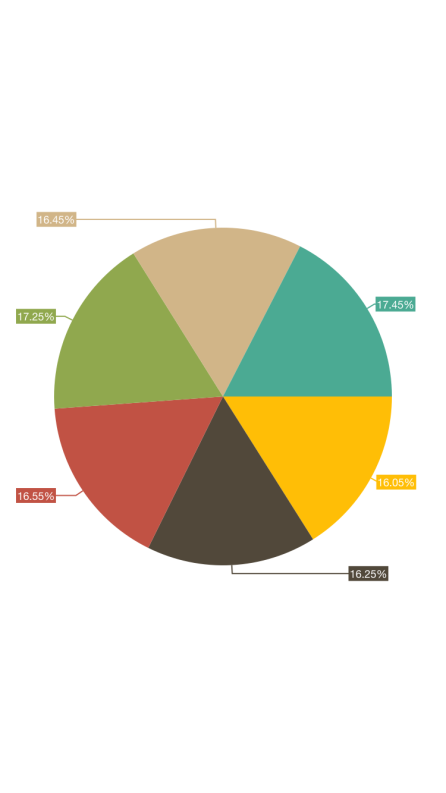 How to show percentage value in Pie Chart’s data marker? You can show the percentage value in data markers by using the labelContent property of SFChartDataMarker. Please refer the following code example. Is there a way to not display the decimal point and round up to the nearest value? You can achieve this requirement by setting LabelFormat property in LabelStyle of ChartDataMarker. Please refer the following code snippet for more details.